Celebrating national small business Week April 29-May 5, 2018, is National Small Business Week. America’s 28 million small businesses account for about half of all jobs in the private sector. NCTC is proud to celebrate their contributions by spotlighting our Small Business of the Year. 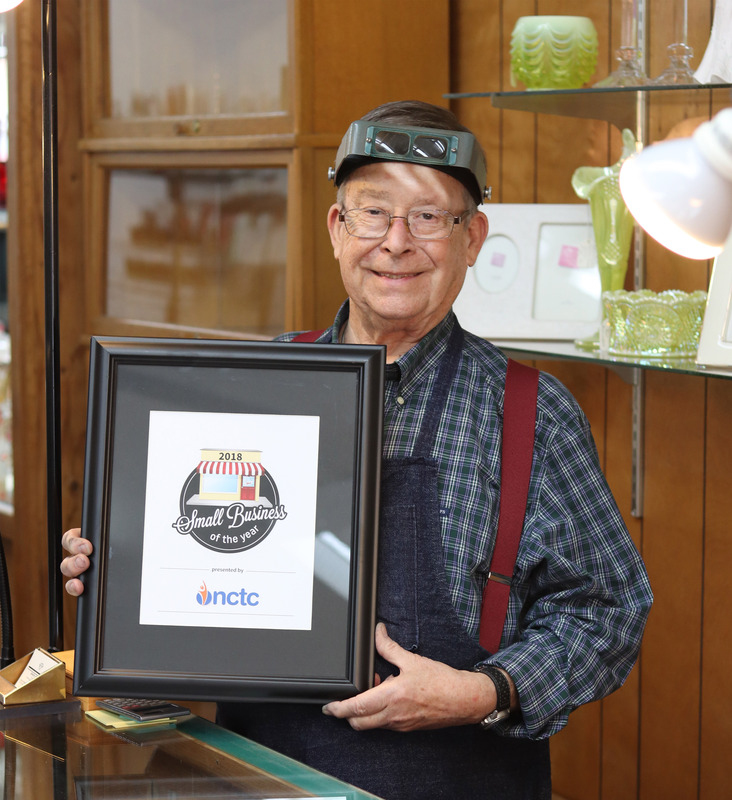 Congratulations to Johnson Jewelers and to all the small businesses we are honored to serve! The friendly and knowledgeable staff at Johnson Jewelers guarantees each customer will be satisfied with the service and selection. If the store does not have what the customer wants, a skilled jeweler will work with the customer to create an exceptional piece.Jewelry repair is also available. Johnson Jewelers is doing business the right way. Stanley Johnson worked construction and was tired of traveling when he decided to buy a jewelry store. He didn’t know anything about the business, but he was willing to learn. He’s now a master jeweler. He and his staff have more than 100 years. Johnson loves working with customers and helping someone find just the right piece of jewelry. An item might be something in the store’s stock, or it could be a custom-made piece designed especially for a customer. They also have a line of gift items, and the store is home to a Merle NormanCosmetics franchise. WHY IS IT IMPORTANT TO SHOP LOCAL? It’s important to choose just the right piece of jewelry. Johnson says being able to provide a personal touch for customers is something they can’t get if they order online or buy in a large store. “We’ve been here a long time. Our customers know we’re straightforward and honest,” Johnson says.